If you follow me on Twitter, you will know how excited I was to get my hands on these new 7 For All Mankind light purple skinnies. As a girl who doesn't wear many bright colours, it's a little strange how obsessed I've suddenly become with light coloured denim... but I'm already plotting my next purchase (these amazing mint jeggings). Pastel and neon colours are super "in" this Spring, so I decided to complement the soon-to-be season with my makeup: this Express Beauty Spring 2012 Runway Makeup Palette that I was sent a while ago to try out. The Runway Makeup Palette is packaged in a square cardboard palette with easy-to-follow instructions on the inside cover. Once opened, you'll see it comes with everything you need to create a great Spring look: eyeshadow (base - mossy green, contour - smoked violet, highlight - frosted cream), eyeliner (cobalt), blush (sparkling peach), and lipgloss (fresh pink). Express is one of my favourite places for inexpensive dress pants (the "Illustrator" is my favourite fit though I think it's now been discontinued), and I've been pretty impressed with the quality of Express Beauty products as well. You can find the Runway Palette on sale for only $10 here, along with other Express Beauty products here. Congratulations to the winners - Maddy, L, Gloria, Cee, Elaine, bebemui, Rites of Beauty, Lori, Maria, and Victoria! I was recently given the opportunity to try out the Schick Hydro Silk razor, which launched earlier this month. This new razor retails for $12.99 CAD and has 5 Curve-Sensing Blades with unique Skin Guards to give you a super close shave. The Hydro Silk is the only women’s razor with water-activated moisturizing serum - meaning that it's supposed to hydrate skin like no other razor can. For best results, Schick recommends that you shave in the shower which makes it easier to activate the moisturizing serum (by placing the head under running water). Although I usually use a creamy body wash when I'm shaving, the Hydro Silk comes infused with marine extracts and rich shea butter so I decided to try shaving without it. I'll admit I was a little scared to do so, but I didn't cut myself at all! In fact, my skin was left feeling completely smooth, though I would still recommend using shaving cream if you have sensitive skin. The razor is also super easy to use due to its ergonomically designed rubber handle which allows you to hold it in your hands without fear of dropping. And now... Schick has kindly offered to send 10 of my readers a sample of the new Hydro Silk razor! In exchange, they'd love it if you could post your own review of the razor on the Schick Hydro Silk Facebook page (I think it's so great when companies are genuinely interested in hearing our thoughts on their products). 1. 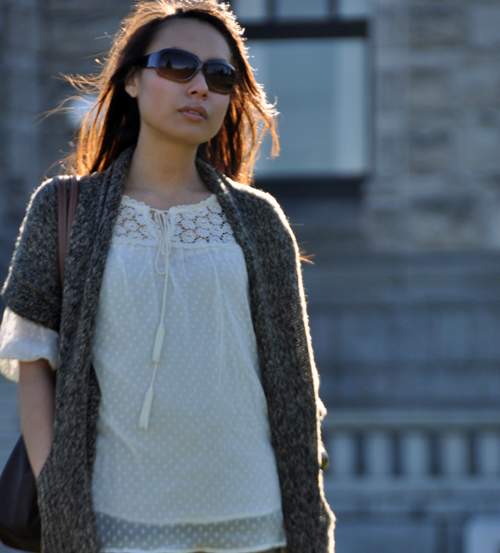 Follow my blog on either Google Friend Connect or Bloglovin'. 2. Leave a comment on this post letting me know you're a blog follower and that you'd like to enter this giveaway. Open to Canadian residents only. Giveaway ends MARCH 4. 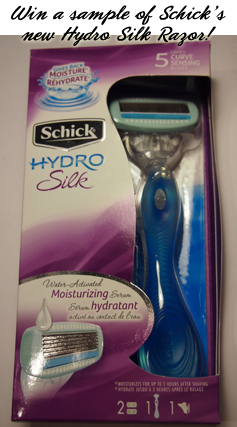 I will then randomly select 10 readers to be sent their very own Schick Hydro Silk razor! Good luck! My fave Canadian nail polish e-tailer, Nail Polish Canada, recently sent me some of Deborah Lippmann's "The Stripper To Go" Nail Polish Remover Mitts to try out. 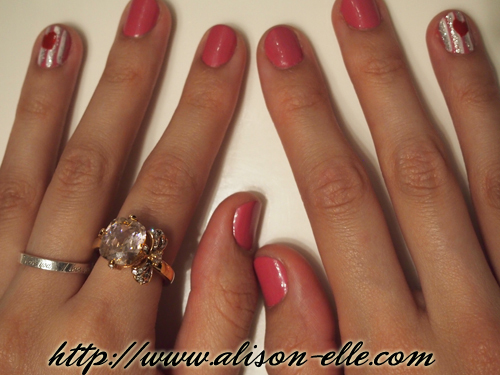 As you guys already know, I am a huge fan of Deborah Lippmann's polishes (see this post and this post) so I was interested in seeing whether her nail polish remover is also worth the hype. Right off the bat I will say that I think The Stripper To Go is a much-needed and innovative product. 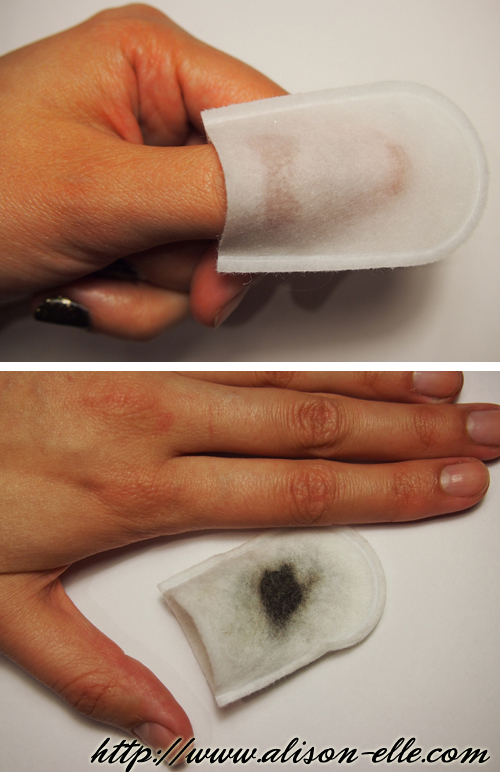 Each disposable finger mitt comes individually packaged and is said to contain enough nail polish remover for all 10 fingers. I decided to test out one of the mitts on my current mani since I find that dark nail polishes and glitter top coats are especially difficult to remove. Essie As Gold As It Gets is a flakie and not a glitter but it's close enough and will have to do because that's what I've had on my nails this week! The mitt fits easily over all fingers and is pre-soaked in "The Stripper," Deborah Lippmann's popular lavender- and aloe-infused nail polish remover. It doesn't smell super strongly of acetone, which can be a big problem with a lot of other removers. To use, you simply stick each fingernail in the mitt and rub your polish off with the other hand. Mine came off quite easily though I did have to scrub a bit to get all the flakies off. I also had to flip the mitt when I changed hands since polish was building up on the inside. I think these mitts will work better if you're wearing plain nail polish (no fancy top coats) because towards the end, I found myself needing to scrub extra hard as there was less remover to work with. The Stripper to Go retails at $12 CAD for a box of 6 mitts here, which is a little pricey. Obviously this is not a product for everyday use but is definitely great for travelling or on the go. I'm planning on keeping a few packets in my purse since I'm one of those people who can't stand chipped nail polish and often end up attempting to scratch it all off the moment my mani is less than perfect. I had such a great weekend! I gorged on Japanese sukiyaki at Posh, saw "This Means War" (my friend and I watch any and all romantic comedies regardless of how awful they may be, and yes we are totally the only people over the age of 14 who loved the movie "Prom")... and I finally got to try out Nicli Antica Pizzeria, a restaurant that has been on my go-to list for ages. 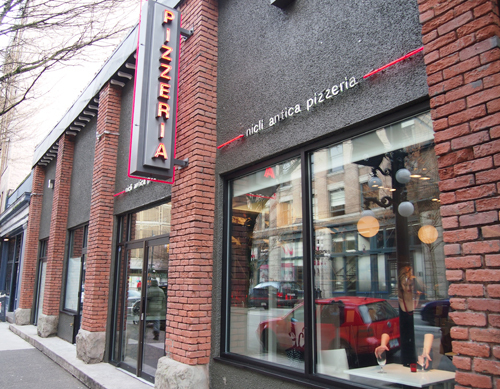 Located in the heart of Gastown, Nicli Antica Pizzeria specializes in certified Neopolitan pizza - a super thin pizza with a light and fluffy yet crispy crust. 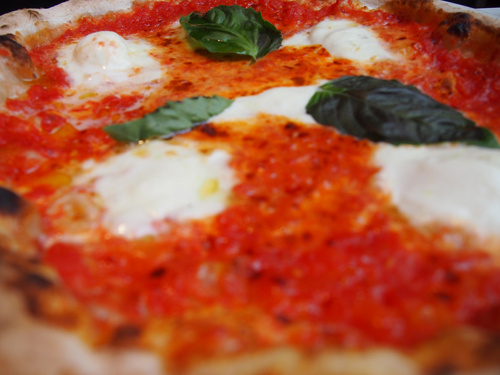 Each pizza is hand formed and cooked in a wood-fired oven, resulting in absolute deliciousness. 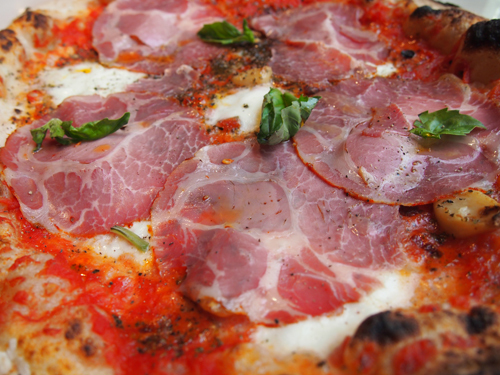 I opted for the Margherita di Bufala ($16) while my bf ordered the Capocollo ($16). Each bite took me back to my trip to Italy last year where I ate pizza almost every day. So good! I especially loved the crust on this pizza, which has a unique slightly sour flavour. It tastes even better drizzled with rosemary-infused olive oil. The restaurant's decor is classy without being pretentious (lots of white and big mirrors along the wall) and the service was great. 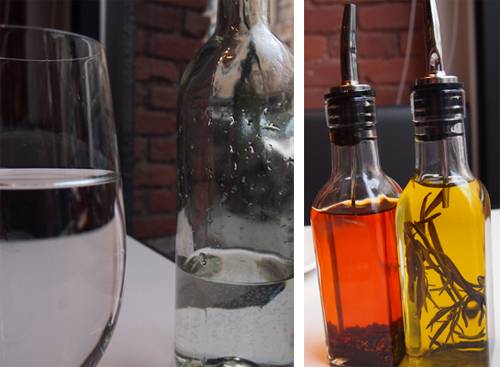 I'd definitely recommend this place to my fellow Vancouverites looking for some authentic Italian pizza. However, word of warning: they don't take reservations and get quite busy so make sure to get there early or stop by for a late weekend lunch like I did. Too much time has passed since I last did one of these posts so I thought I'd share some more iPhone snapshots. A little bit of style, some recent purchases, some fun things I've been up to, and of course a whole lot of food! No Korean meal is complete without soju! If you're on Instagram, feel free to follow me! My username is alison_elle. 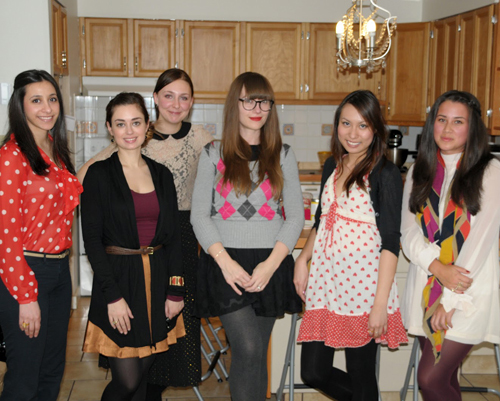 Over the weekend, Cee of Coco and Vera hosted a pre-Valentine's Day blogger get-together. 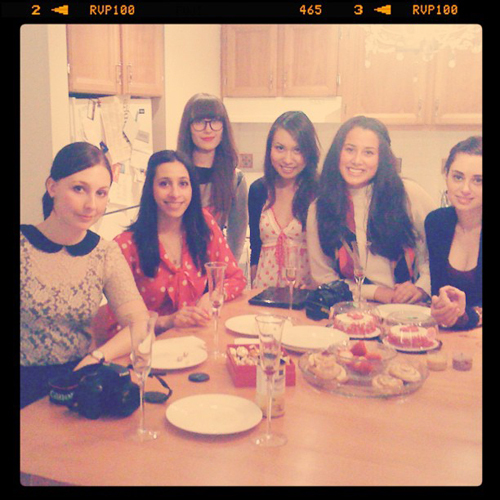 It was the perfect way to spend a Sunday... chatting with some lovely ladies over a big bottle of wine and an array of sweet snacks. 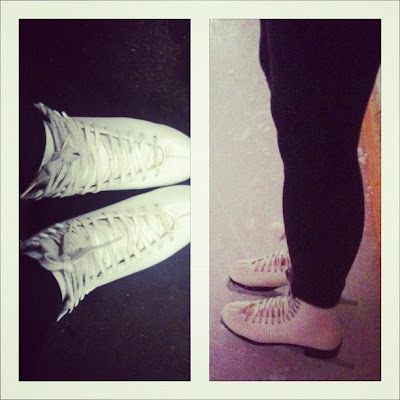 Thanks to Cee and Randa for these photos! 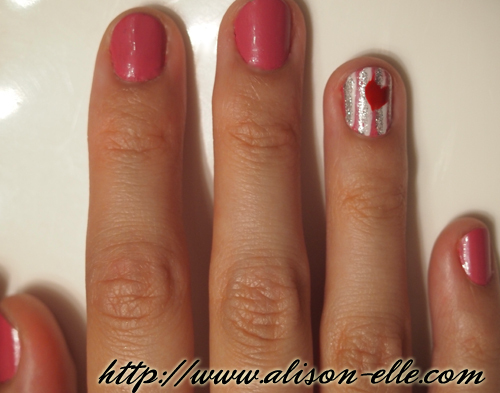 Of course, I can't let a holiday pass without some appropriately themed nail art. Compared to last year's somewhat ridiculous Valentine's Day mani, however, I did decide to keep my nails a bit more subdued this year. Congratulations to the winner - Gina Maddox of Crave to Save! I am super excited to be partnering with Eucerin to host this giveaway because their Original Moisturizing Lotion has been working absolute wonders for my dry skin this Winter. That's why I couldn't be more grateful for the opportunity to try out some of the company's other products... and thanks to Eucerin, one of my lovely readers can too! The winner of this giveaway will receive: a $50 Visa Gift Card, Eucerin Calming Daily Moisturizing Crème, Eucerin Skin Calming Body Wash, and Skin Calming Itch-Relief. To be spent on anything your heart desires! A gentle, non-greasy formula that combines calming oatmeal and rich emollients to help relieve dry, itchy skin for softer, healthier-looking and more comfortable skin. I've been applying this after my morning showers and it keeps my skin moisturized throughout the day. I like the thicker texture and the fact that this cream doesn't have a harsh scent (I'm often allergic to highly scented products and this, thankfully, does not cause uncontrollable sneezing fits). A unique body wash formulation that combines soap-free cleansing with omega oils and other natural lipids to nourish and soothe. Despite being called a "shower oil", this wash doesn't leave your skin greasy. In fact, it's quite easy to use: just shake the bottle, apply, and the product gently foams. This is great for those with extremely sensitive skin though the smell may be off-putting to some (the bottle says it is "fragrance free" but I wouldn't say this is quite accurate). An external analgesic lotion for itchy skin flare-ups with cooling menthol and natural oatmeal for effective relief that lasts up to 8 hours. When I was younger I had eczema and now that I am older, I still battle occasional flare-ups with certain types of weather and temperatures. I usually use a medicated cream when my skin gets really itchy but find this product to work pretty well in a pinch. 2. “Like” the Eucerin Facebook Page. 3. Leave a comment on this post to let me know that you've done both these things and an e-mail address or other way of contacting you. 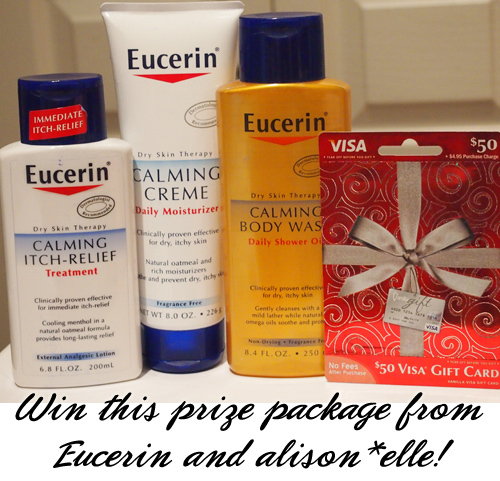 For an extra entry, tweet the following: "I've entered to win a $50 Visa Giftcard and prize package from @EucerinUS and @alison_elle - http://bit.ly/ykei8w". If you do this, don't forget to leave a separate comment on this post. Even if you don't win this giveaway, you can still receive a FREE sample of the Eucerin Skin Calming Crème! After "Liking” the Eucerin Facebook Page, simply follow the instructions on how to take the Eucerin Skin First Pledge. Giveaway closes on FEBRUARY 26. Winner will be drawn randomly. Good luck! 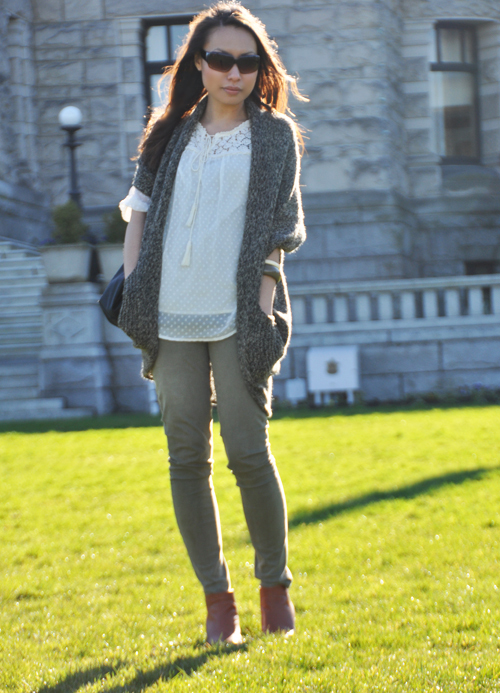 As I mentioned in this post, I was recently in Victoria for a work function. It's funny... though it's a relatively short ferry ride away, I've actually only visited a few times before. I'm always surprised by how quaint and familiar the city feels, especially given the fact that it's the capital of British Columbia (for some reason I tend to think of capital cities as being super big and constantly bustling). After grabbing brunch, we wandered around a bit, snapped some photos in front of the iconic Parliament Buildings, and I managed to pick up some of my favourite teas from Murchies. Next time I'm in Victoria for the weekend I'm really hoping to go to high tea at the Empress Hotel - it's been on my to-do list for ages! My firm has two offices, so every year we alternate cities for our big interoffice après-Christmas party. 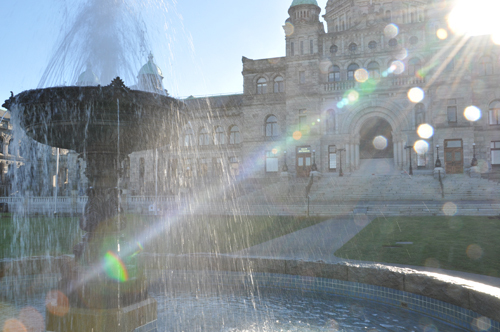 Since last year's party was held in Vancouver, this year's was in Victoria. Admittedly, it's a little strange to be celebrating the holidays in February but who can say "no" to a weekend getaway and the chance to mix and mingle with colleagues we don't see very often? 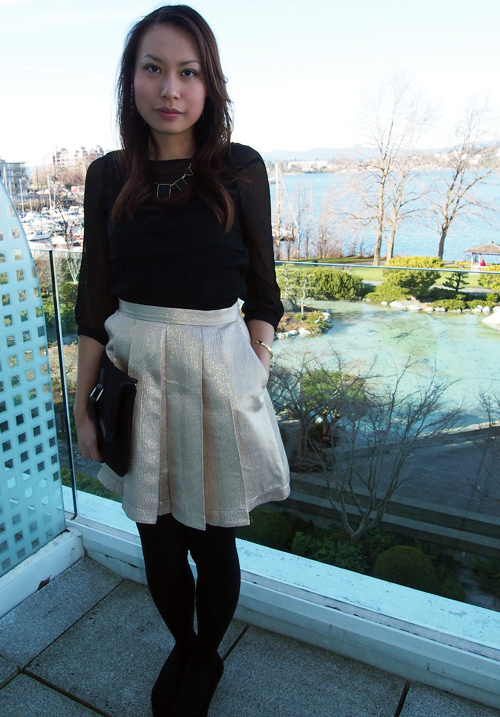 For the party, I decided to wear my Club Monaco "Angela" skirt (I love skirts with pockets!) 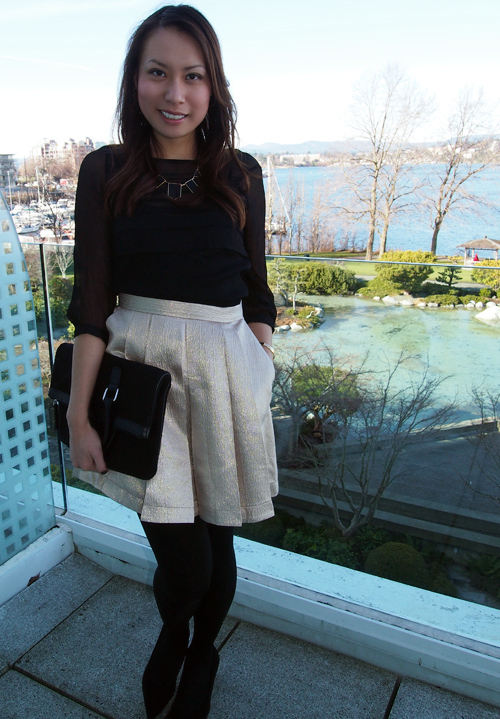 paired with black & gold accessories. 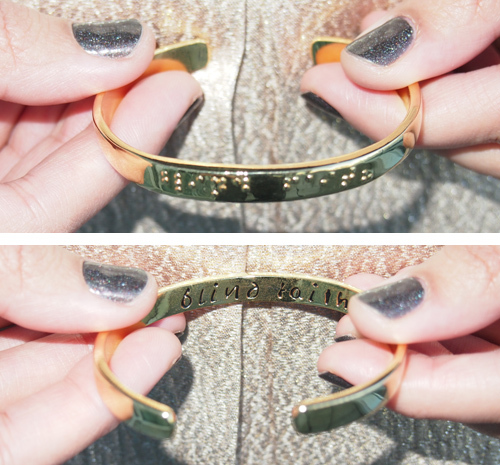 I first discovered Erica Anenberg's beautiful braille jewelry from Aney's blog and eagerly snatched up this gorgeous "Blind Faith" Cuff during a recent Hautelook sale. 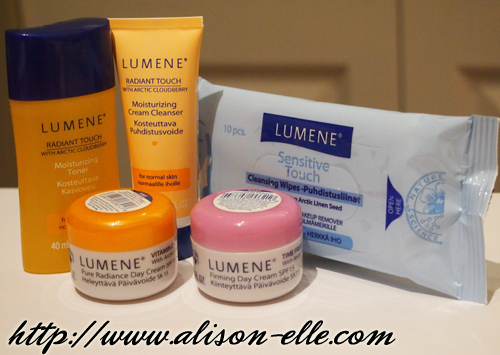 I was recently sent some products from Lumene, a Finnish skincare and beauty line whose formulations are packed full of Arctic plants and berries. I hadn't heard of the company before but I love their philosophy of "harnessing the power of natural Arctic ingredients with a Scandinavian approach to beauty to create skincare and cosmetics with proven effectiveness, integrity, and purpose." I don't use toners with alcohol because I usually find them too drying for my skin, so I was pleased to see that Lumene's toner is alcohol-free. The formula is extremely gentle, almost like water, and leaves the skin feeling refreshed. The cloudberry scent is difficult to describe but it's quite sweet and pleasant. The formula of this cleanser is lighter than other cream cleansers that I've used and doesn't do such a great job at removing my makeup at the end of the day. Like the toner, the scent is great, but I will be using this as my morning cleanser and using a more heavy-duty one at night. This detox properties of cloudberry are supposed to make skin look brighter and more radiant. The cream's texture is very light and applies easily, though it is best formulated for dry to normal skin rather than my combination/oily skin. I do like that it has SPF 15, which is a must in a day-cream. This cream is thicker than the Pure Radiance Day Cream and doesn't have the same sweet cloudberry scent. In fact, it smells just like plain lotion, perhaps a bit chemically. I personally don't find it too offensive but I imagine some people might not like it. Although I don't have any wrinkles, I do prefer the thicker formula and like that it contains SPF 15. These wipes are not textured and less "wet" than other cleansing wipes I've used which I guess is what makes them so perfect for sensitive skin. They didn't irritate my skin at all, which can happen with more harsher formulas, but at the same time are probably not the best for removing heavy makeup. These products seem perfect for sensitive skin that is more on the dry side since they have high moisturizing qualities. The cloudberry scent is delightful so if you are looking to try some Lumene products, I definitely recommend something containing that.